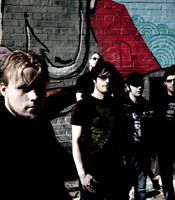 Machinae Supremacy is a metal band from Luleå, Sweden. Their musical style is based on the use of the Sidstation synthesizer, which incorporates the SID (Sound Interface Device) of the Commodore 64 home computer. The retro-electronic sound is blended with a metal sound to produce a special kind of "SID-metal" . Their newest album, Redeemer, was released March 18th, 2006 as an 'Underground Edition', and the band described it in an interview as everything DXM (Deus Ex Machinae, the debut album) wasn't. It was re-released on November 8th, 2006 as a remixed version under Spinefarm Records. Machinae Supremacy has already made their place in history by being one of the first bands to embrace and utilize the Internet and file sharing to gain a huge fanbase without ever having signed a record contract, received airplay or any sponsored promotion. They've reached out to all corners of the world and today their site receives roughly 100,000 song downloads every month. 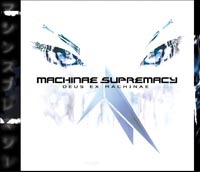 Machinae Supremacy was formed in summer 2000 by Robert, Kahl and Jonas. The name of the band had existed even before this, but it was only a few months later the band really found the path they wanted to go. Andreas, a long time friend of Jonas, joined on keyboards and Tobbe joined on drums. When the band parted with Tobbe in early 2002, Tomas, old band-pal with Robert, took his place. When Kahl left for Uppsala in 2005, Pallo replaced him on bass. After signing the Spinefarm deal, Andreas left the keyboards and started playing second guitar. Currently all live synthesizers come from a backing track.